Gridlock is like a Chinese Finger Trap. Each partner pulls for his or her position, making compromise impossible. Our dreams are full of aspirations and wishes that are core to our identity and give our life purpose and meaning. Gridlock is a sign that each partner has dreams that the other hasn’t accepted, doesn’t respect, or isn’t aware of. Some financial dreams are practical, like obtaining a certain amount of savings, while others are profound, like owning a beach house in Hawaii. The profound dreams often remain hidden beneath the practical ones. For example, Kurt wants to make a seven figure income, but why is that so important to him? Underneath his dream is a deep need for financial security. 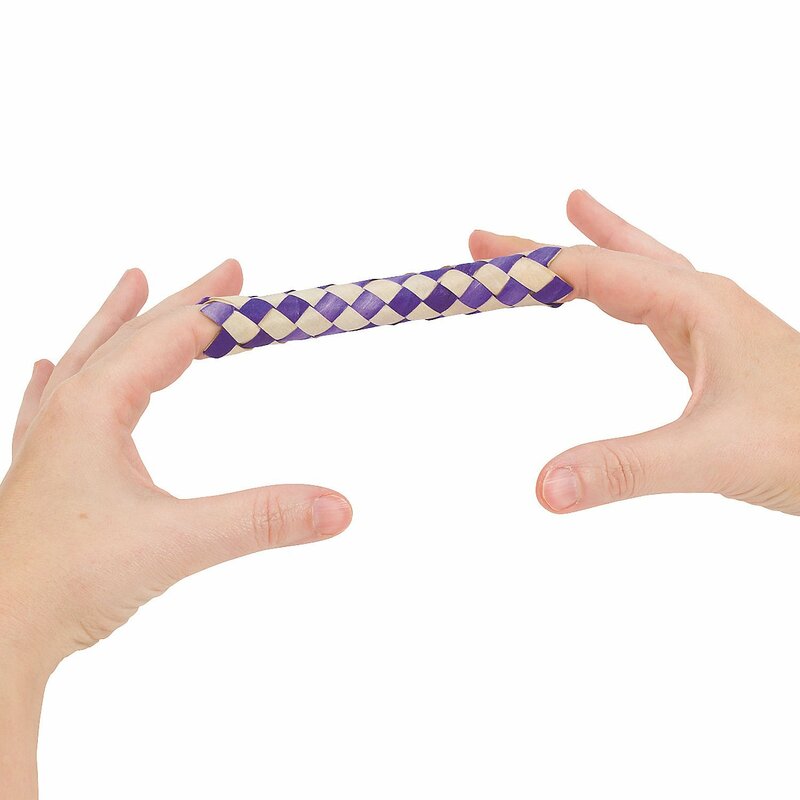 When couples are in gridlock, it is only by uncovering the hidden dreams and symbolic meanings that they can get out of the Chinese Finger Trap. The way out is to first identify the dream within conflict. When partners are gridlocked, they see each other as the source of marital difficulty. They tend to ignore their part in creating the conflict because it’s hidden from view. If you find yourself saying, “the only problem is his lack of money smarts,” that’s probably not the whole story. Uncovering a hidden dream is a challenge and it won’t emerge until you feel the marriage is a safe place to talk about it. If you don’t feel comfortable enough to open up, focus on the first three principles in The Seven Principles for Making Marriage Work. Personal dreams often go unmentioned because people worry they will burden their partner or negatively impact the relationship. It’s common for partners not to feel entitled to their dreams, but when you bury a dream, it can lead to resentment and ultimately gridlock. When you begin to uncover the dreams beneath your financial gridlock, the problems in your marriage will not immediately go away. They may actually seem to worsen rather than improve. Be patient. The very nature of gridlock is that dreams are in opposition. Pick a money issue that you both feel causes gridlock in your marriage. Take time to reflect on the hidden dreams that may underlie your position. Talk about it with your partner by using Dr. Gottman’s Money Conflict Blueprint for a truly effective conflict conversation. Focus on understanding your partner’s position. Kris: I’ve always dreamed of buying a beach house in Hawaii. Kurt: First of all, we can’t afford something like that. I can’t think of anything more stressful than trying to upkeep a property in the middle of the ocean. Think of all the wear and tear we will need to replace. Kurt: Tell me more about what it means to own a beach house in Hawaii. What would it do for you? Kris: It would be heaven on earth. My family and I used to go every year and my parents always said they wanted to buy a beach house. I’d feel such a sense of accomplishment and we’d be able to invite my parents over! They’d be so proud. Discussing deeply held dreams that are in opposition can be stressful. Pay attention to your stress levels. If flooding occurs, stop the conversation, take a break, and use repairs. Now it’s time to make peace with this issue (for now) by accepting your differences and establishing some kind of initial compromise. Understand that this problem may never go away. The goal is to remove the hurt so the problem stops being a source of pain. Non-negotiable areas: Aspects of the issue that you are unwilling to give up on because it will violate your basic needs or core values. Try to make this section as small as possible. Areas of flexibility: Parts of the issue where you can be flexible. Try to make this section as large as possible. Share your list with your spouse and work together to come up with a temporary compromise. This compromise should last about two months. Afterwards, you can review where you stand. Don’t expect to solve the problem yet. Your goal here is only to live with it more peacefully. They defined minimal core areas they are unwilling to change. Kris says she must have a house in Hawaii. Kurt says he must save $40,000 in order to feel financially secure. They defined areas of flexibility. Kris says she can settle for a condo, rather than a beachfront house. Even though she wants to buy now, she is willing to wait 3 years as long as they can work together to make it happen. Kurt says he can be flexible about how quickly they save, as long as he knows both of them are working towards this goal. They decide that 5% of their income goes into this savings account. They found a temporary compromise that honors both of their needs. They will buy a condo, but not for another three years. Meanwhile, they will devote half of their savings to a down payment and half into a mutual fund. In three months, they will review this plan and decide if it’s working or not. Both Kris and Kurt realize that the underlying perpetual problem will never go away. Kris will always be the visionary, imagining a life on a beach, and Kurt is going to worry about their financial security. By learning to work with each other, both partners are able to cope with their differences, avoid gridlock, and work support each other in achieving their dreams. Overcoming financial gridlock requires more than just one discussion about the issues that have deeply troubled your marriage. The goal with this step is to cultivate a culture of appreciation in which you express your gratitude for all you have. This will feel difficult after talking about such an emotionally charged issue, but that’s all the more reason to make effort to end the conflict conversation on a positive note. The best way to cope with financial gridlock is to avoid it in the first place. Don’t wait until resentment has set in to ask your partner about their dreams – Dr. Gottman suggests becoming a “dream detective.” By building your Love Maps, turning towards each other, and cultivating fondness and admiration, you will build trust and deeply understand each other. As you do this, you’ll discover the financial disagreements that once overwhelmed your marriage actually bring you closer together over time.